What is an artists’ colony and why do I hope to found one with a vision grounded in the Christian faith? For generations, artists’ colonies have played a vital role in the cultural life of this country. 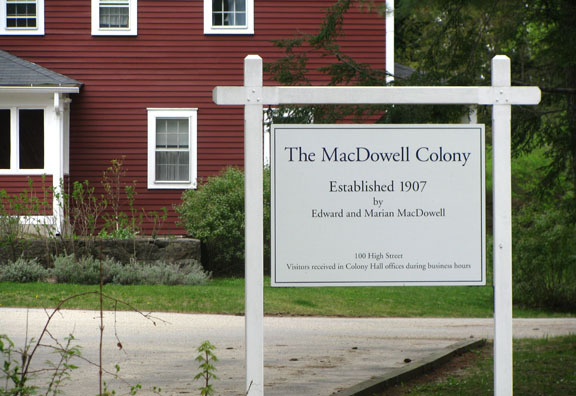 America’s two most eminent colonies—Yaddo and Macdowell Colony—have become major institutions. 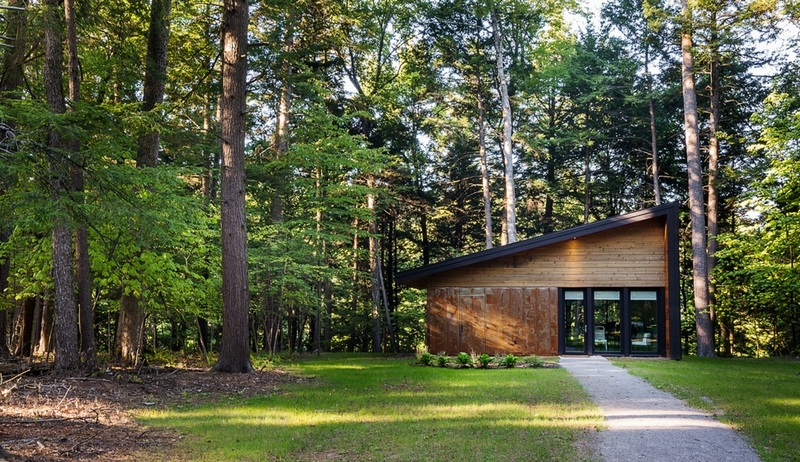 The Macdowell Colony recently received a Presidential Medal of the Arts, a rare tribute for an award that is normally given to individuals. Colonies like Yaddo and Macdowell have provided extended periods of residence to thousands of artists, including some of the leading writers, artists, and composers of our cultural heritage. Some of the distinguished alumni of these colonies include Flannery O’Connor, Leonard Bernstein, Thornton Wilder, Willa Cather, Katherine Ann Porter, Eudora Welty, Aaron Copland, Alice Walker, Saul Bellow, and Doris Kearns Goodwin. The purpose of such colonies is to provide an environment in which artists can work without interruption and distraction. 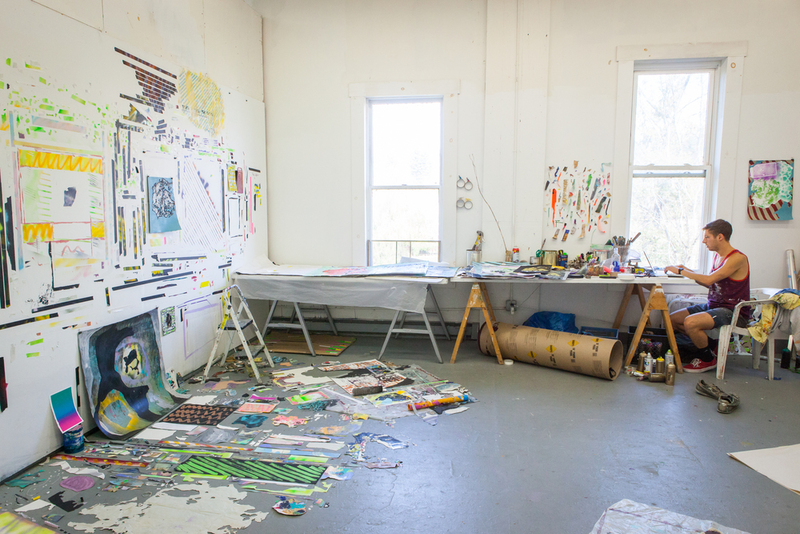 Residencies at a colony tend to run from two weeks to two months, allowing for a substantial amount of work to be accomplished—the beginning or completion of a book, score, painting, sculpture, or script. An artist’s cabin at Yaddo. Typically, the common meals are breakfast and dinner; a packed lunch enables an uninterrupted day of creative labor. Though privacy and productivity are crucial components of the artists’ colony, another important benefit is the sense of community that grows out of shared meals as well as evening talks, readings, and presentations. Friendships, collaborations, and the electricity created when creative people interact with one another are an essential part of the artists’ colony experience. Most artists struggle to find the time and creative space in which to complete their work. The artists’ colony thus plays a vital role in the creation and dissemination of great art; quite simply, it provides artists with the gift of time. Still Point, my “working title” for a proposed artists’ colony, will add a significant new dimension, that of faith and spirituality. Worship services and talks on spirituality and art will provide resident artists with a special form of personal enrichment. A residency at Still Point will allow artists who wrestle with religious faith to be enriched by a community of like-minded pilgrims, and to provide an environment that welcomes that ancient tradition of art that confronts the ultimate questions of human origin, identity, and destiny. The mission of Still Point will be twofold: to foster the creation of first-class art and to nourish each visiting artist’s spiritual life. As with all the institutions I have founded, the hallmark of Still Point will be a commitment to excellence. To this end, a rigorous application process would be established to screen prospective guests and to award places to those whose work demonstrates outstanding talent. Both established artists and emerging artists would be encouraged to apply. The ideal location for an artists’ colony is somewhere that is quiet, secluded, and surrounded by the beauty of nature. An added benefit would be if the location was known for hospitality to the arts. Though the primary purpose of an artists’ colony is the work undertaken by the artists in residence, Still Point should also serve the larger public. Therefore, it would be natural to pursue forms of outreach such as retreats and workshops. The size of such events would remain small—perhaps around a dozen attendees. But such retreats and workshops would help to spread the word about Still Point and enrich the community in which it was located. Over the past two decades our culture has witnessed a powerful resurgence of interest in the relationship between religious faith and the imagination of the artist. In a time that suffers from political divisiveness and the relentless pace of a technology- and media-dominated society, both art and faith offer healing visions—visions that call us to cultivate our hearts, to become more reflective, open, and humane. The popularity of such writers as Kathleen Norris, Marilynne Robinson, Christian Wiman, and Annie Dillard, the release of films like Silence and Of Gods and Men, the emergence of organizations like Image, the Seattle Pacific University MFA in Creative Writing, and Calvin Festival of Faith and Writing—these are just a few indications of a renewal of serious art that grapples with the Judeo-Christian tradition. 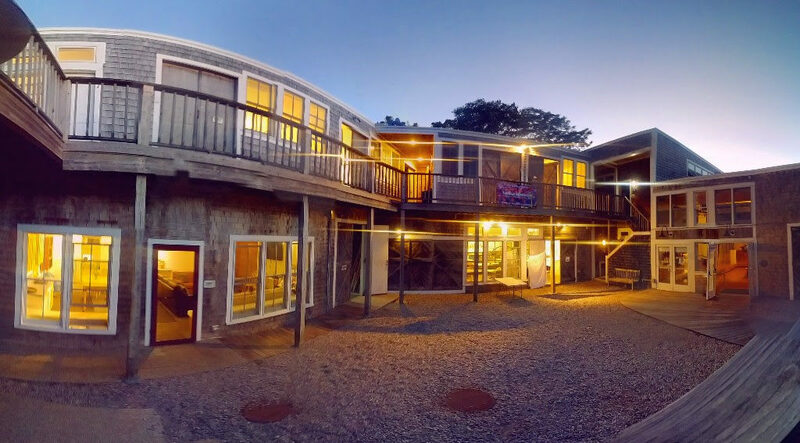 Fine Arts Work Center, Provincetown. These organizations have produced an impressive array of programming, from conferences, seminars, workshops, exhibitions, and tours to publications, websites, and podcasts. Each of these programs provides educational and artistic benefits to a diverse, ever-growing audience. But there is one institution that currently does not exist within the Christian community—an artists’ colony devoted to nurturing original creative work. Our hope is to find a beautiful natural location where the two fundamental human instincts—prayer and artistic creativity—can be nurtured. Out of these deep wells will come the refreshing waters that can renew the arid desert of contemporary culture. In short, we believe that Still Point has the potential to become an internationally recognized center for creative and spiritual renewal within the Judeo-Christian tradition. If you are interested in helping to make Still Point a reality, please contact me. I’d love to hear from you.